Crypto currencies like Bitcoin, Etherum and Ripple are rising across the world. The transaction of crypto currencies provides guarantees and convenience of credit in trust and belief. Underlying reason for growing popularity and acceptability of crypto currencies is its low processing fee and faster transaction time together with its growing reliability. It has thus shown its capability to revolutionize banking, transactions and the way we view money. But despite its colossal benefits and universal acceptance, many countries, including Nepal, have yet to legally recognize crypto currencies. Since Nepal is adamant to opening up, crypto-market in Nepal is still in laggards. Many other countries haven’t yet accepted virtual currencies. Lack of backing by physical asset and guarantor is one reason. This entails investments are based on inflated market hypes. Such volatile and flamboyant nature of digital currencies has made many countries reluctant to accept digital crypto-currencies as a platform for transactions. Nevertheless, over the course of time, these crypto currencies have gained the trust and backing by powerful world economies. So people have started to repose trust and confidence in crypto. Within a span of 10 years, almost all European countries such as Spain, France, Belgium, Germany, Austria and Belgium have accepted crypto-currencies. Many other countries are following suit because they understand economic landscape of the future. Along the continuum, some countries have advanced its application apart from legalizing it. The US, for instance, is planning to create a government backed digital currency, FedCoin. This works with similar block-chain technology used in crypto-currencies. A success in FedCoin would mean two things. First, there will be no speculative bubble (like the present crypto-currencies) as the government will be backing the investments. Second, the Fedcoins will be docile as the Federal Reserve decides when to relax and contract supplies. Russia is moving on the same path. In the International Economic Forum in 2017, it expressed the desire to develop and implement its own virtual currency. The Russian cyber-initiative objective is to connect Asia, South America, Europe and Africa through a multinational crypto-currency that is used mostly by BRICS and also Eurasian Economic Union (EEU). Even China, that once dismissed digital currencies as a platform for trading, has now been testing its own digital currency prototype. While almost all developed nations have legalized crypto-currencies, Nepal has not embraced the idea yet. In 2017, Nepal Rastra Bank prohibited any indulgence in the crypto market. For some reason even mining was made illegal. Likewise, Bitsewa, an online portal to trade crypto currencies, was put offline. Why is the government suppressing growth of crypto market? On what basis? The apprehension stems from the notion that digital transactions could bypass the government and since transactions are hard to track it might promote money laundering. This platform thus, goes the argument, encourages those with malicious intent to illegally relocate money. What is forgotten in this debate is the fact that main purpose of crypto-currencies is not to bypass the government but banks, which means users can dodge huge amount of middlemen fee. Nepali authorities seem to believe there could be outward flow of fund through crypto trading as investors can pull out money anytime without legal restrictions and interferences. Nepal’s economy survives on cash inflow and crypto trading does not support current economic system, as there would be daunting cash outflow in form of investments in such currencies. However, the number of players involved is so negligible that it hardly affects remittance. NRB has been unable to come up with precise data on how much loss crypto investments could have on remittance. Nepal’s decision to ban crypto-currencies may have also been influenced by India. 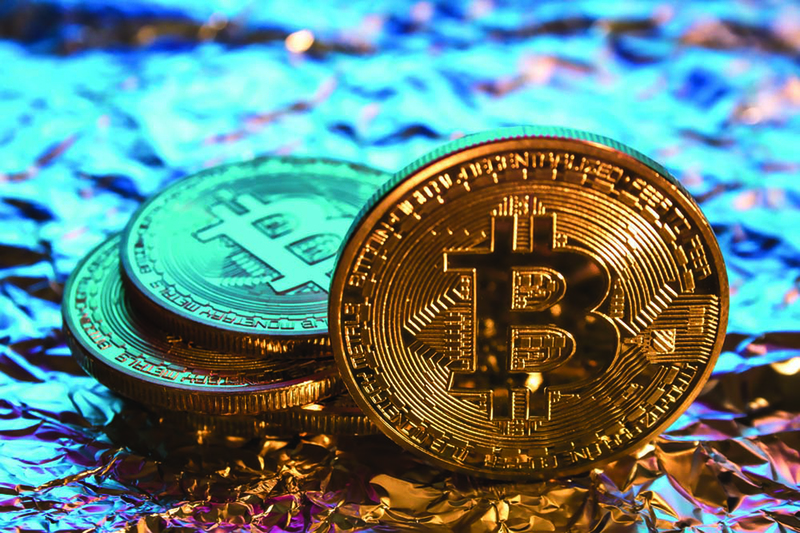 Despite growing demand for Bitcoin and related currencies, India is still undecided regarding whether to officially entertain trading through such currencies or not. Even so, India is yearning for crypto market to grow. The demonetization move was not only meant to control black money but also to encourage people to shift to online wallets. India has been silently keeping tabs on the endless opportunities. So what will happen if Nepal actually liberalizes crypto industry? It may not bring desired results. It may not be able to do well in case of a probable downfall of crypto. It has already been predicted that crypto-bubble will burst and average investors will lose money. For example, value of Bitcoin has been dwarfed by 5000 basis points since its zenith in 2017. Other such currencies are experiencing similar decline. Second, there is no physical item such as gold or cash to physically back the investment. The speculative bubble is driving the price and all the investment is going in thin air. Since majority of the Nepali investors are financially weak, they could lose a lot of money. If it is to prevent these risks, government’s actions in making crypto-market illegal can be justified. Only economically rich countries have legalized crypto-currencies. Nepal does not have a well-oiled secondary market to begin with. It still lacks a finely tuned derivative market (options, futures and contracts). Even though the concept of digital currency trading platform sounds galvanizing, as Nepali financial market is still in a crude form, our economy is still not prepared to withstand volatility of crypto currencies. Thus the government must first develop this market before it advances to crypto. Only then it will be logical to legalize trading activities. But in the long run, Nepal must be open to accepting crypto currencies because such currencies are likely to become speaking language of transaction within the next decade.